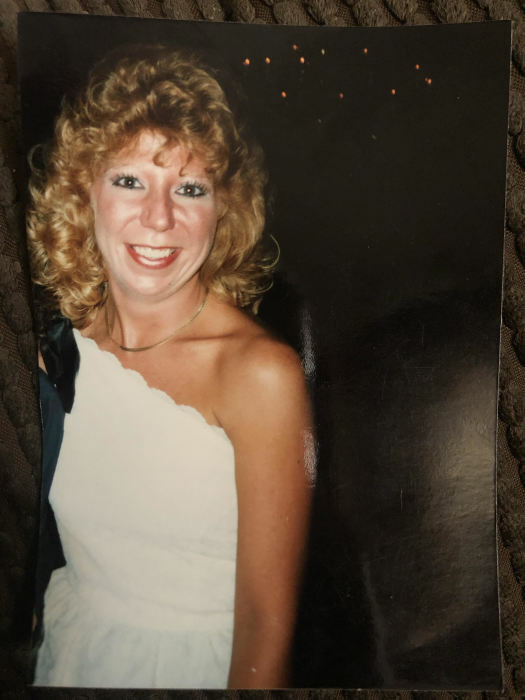 Patricia Ellen Greaser-DeWitt, 57 of Niagara Falls, NY passed away peacefully alongside family and friends on December 2, 2018 after battling a lengthy illness. Patricia was born on February 5, 1961 in Niagara Falls, NY. She was one of ten children born to the late Martin Greaser and Katherine (Dineen) Greaser. Patricia was a graduate of Niagara Wheatfield High School class of 1979. During high school she earned her LPN license through Niagara-Orleans BOCES and worked at Schoellkopf nursing home at Niagara Falls Memorial Medical Center. Following high school, Patricia attended Niagara Country Community College and graduated in 1981 with her nursing degree. After college, Patricia moved to Philadelphia, Pennsylvania and worked as a registered nurse at Hahnemann Hospital for four years. She then returned to Niagara Falls and worked for over thirty years at Buffalo General Hospital in the critical care units including the CVICU, SICU, and the CICU until her retirement in 2017. Patricia had many hobbies which included gardening, fishing, and going to all of her children’s many sporting events from baseball, volleyball and softball. She was an avid skier and ice skater. She loved to travel which included trips to casinos and Las Vegas, skiing the Alps, taking three cruises to the Caribbean, many trips to Florida and other states to visit family. She especially was a sports fan, attending Super Bowl XXVI in Minneapolis, and was an avid New York Yankees and Buffalo Sabres fan. Patricia’s family was the most important thing in her life. When she wasn’t taking care of patients, she was taking care of her husband, her three children, parents, siblings, and extended family. One of her great passions was volunteering. She was a candy striper at local hospitals, she assisted with blood drives, and she volunteered at the Niagara County SPCA. Patricia was the treasurer for Whirlpool Park Little League baseball and soccer for many years, where she also assisted with coaching. Patricia was survived by her husband Stephen DeWitt and their three children, Andrew DeWitt, aged 25, Brianna DeWitt, 22, and Lauren DeWitt, 19. Alongside her immediate family, she was loved by her three dogs and one cat. She was also survived by eight siblings, Liz (Bill) Putnam, William (Donna) Greaser, Kathleen Wheeler, Paula Greaser-Hayes, Julie (Rick) Wheeler, Teres (Sheldon) Charles, Mike Greaser, and John (Marie) Greaser. She was also survived by many nieces and nephews and by her lifelong best friend, Robin Janese Kula. She was preceded in death by her father in law, John DeWitt, her brother in law, Joseph Hayes, and her infant brother. The family will be present to receive friends on Saturday, December 8 from 1-4 PM in the Chapel of OTTO REDANZ FUNERAL HOME 2215 Military Road Niagara Falls, NY (716-297-9007), where a funeral service will be held at 3:00 p.m. with Rev. Jacek Mazur officiating. In lieu of flowers, contributions can be made to Niagara County SPCA and the American Heart and Lung Association.